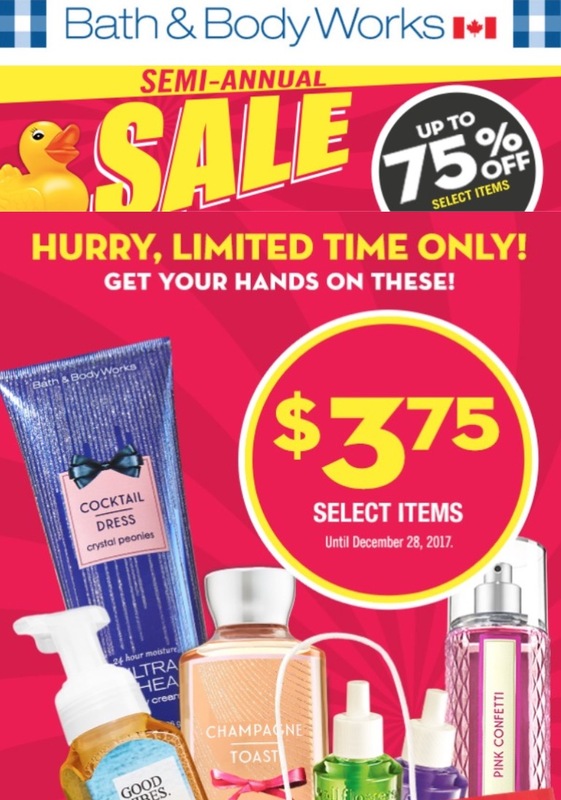 Bath & Body Works Canada Boxing Week Semi Annual Sale: Save 75% Off, Goodies for $3.75 + Coupon to Save $10 Off Any $40 Purchase! Coupon: Save $10 off any $40 purchase. The Bath & Body Works Canada coupon & offers are valid now until December 28, 2017, in-stores only, on selected styles, while supplies last. Selection may vary by store location. Bath & Body Works Boxing Day Sale & Boxing Week Deals 2016 is out! And it's sizzling hot! Get up to 75% off many items at Bath & Body Works. Additionally, get an extra $10 off using coupon code FA164329. Bath & Body Works Boxing Day Sale & Boxing Week Deals 2016 is out! And it’s sizzling hot! 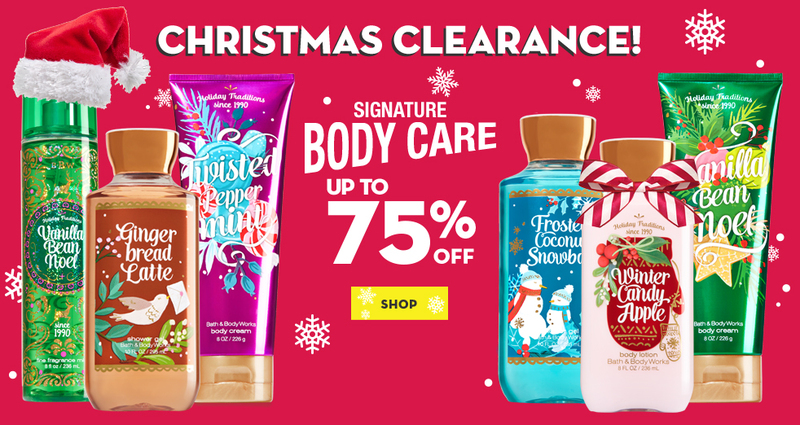 Get up to 75% off many items at Bath & Body Works. Additionally, get an extra $10 off using coupon code FA164329.